My DT project for Inspiration Destination Challenge Blog. This is for anything goes Challenge No. 100! I can't believe it! But it's true! lol We've two sponsors this week and this is for Fabrika Fantasy. 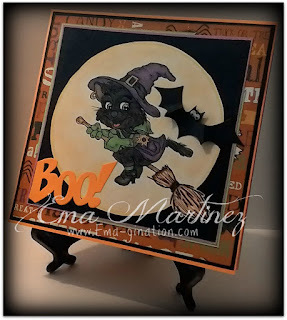 I've used Halloween Cat from our generous sponsor, Fabrika Fantasy! 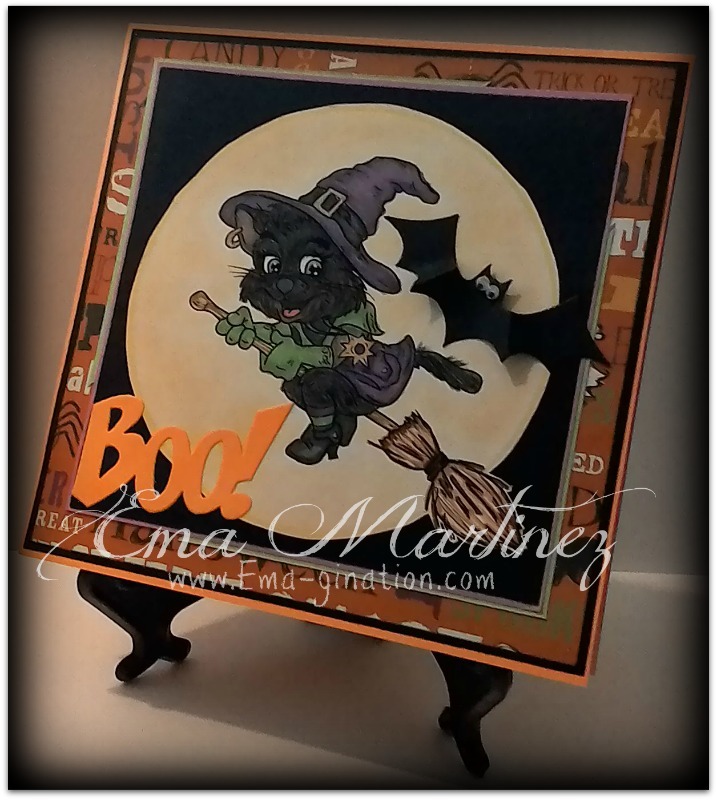 The 'BOO' and bat are die cuts from Fun Stampers Journey set called Snapshot Frames. I created the moon with a Fiskars Circle Template. Google eyes, pattern paper and card stock are from my stash. Gorgeous 'too cute to spook' card! Fab image and paper! 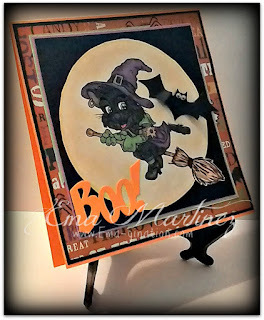 Very interesting Halloween card! It looks wonderful and so harmonious. Thank you for using this image, Ema! 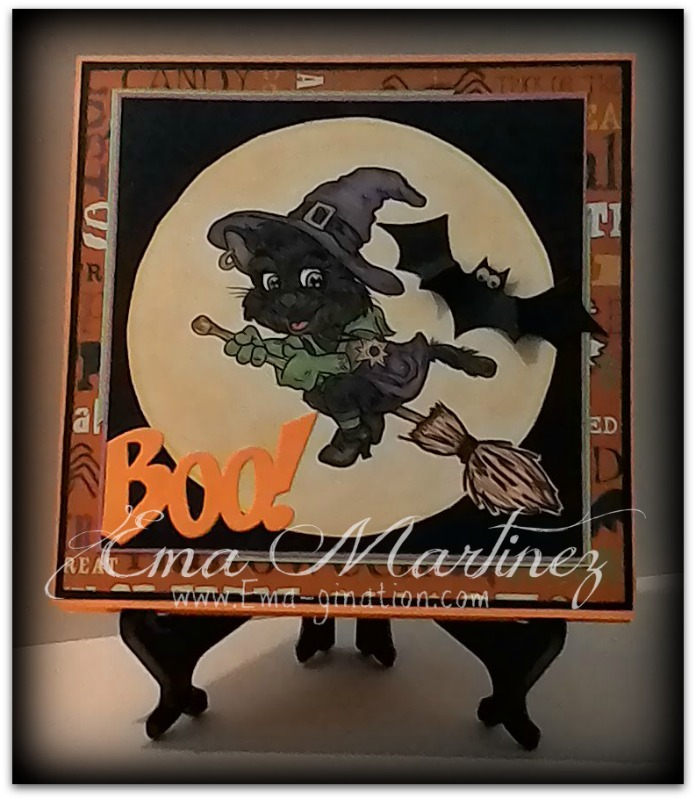 A wonderful cat as a witch. Thanks for joining us at Cardz 4 Guyz. Hope we see you again. Caz DT.